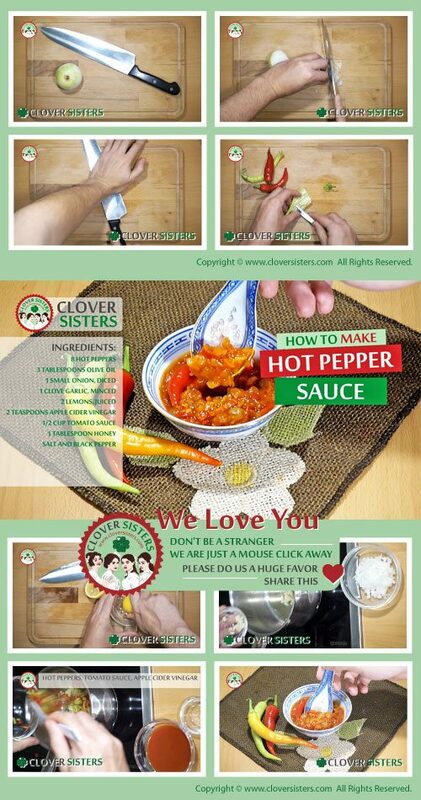 I love this spicy sauce recipe with hot peppers and other fresh vegetables. 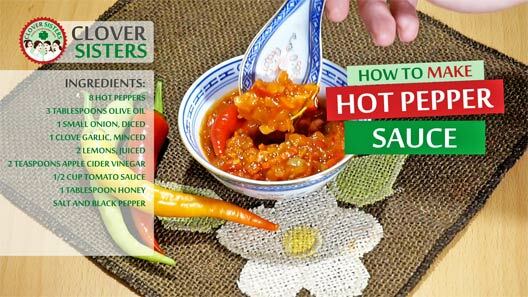 Beautiful strong flavor makes this spicy hot pepper sauce a unique cooking experience. Warm the extra virgin olive oil in a saucepan over low heat and add the onion and garlic and cook until the onions start to caramelize. Cut hot peppers in half and remove the seeds, add them with the lemon juice, apple cider vinegar, tomato sauce and honey to the saucepan and cook for about 5 minutes. Season with salt and freshly ground black pepper. Put mixture in blender and blend all ingredients together. Pour into clean jars, and store in refrigerator.